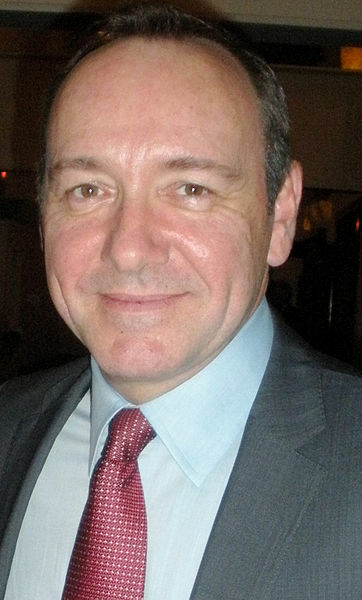 Photo of Kevin Spacey by Sarah Ackerman, courtesy Wikimedia Commons. What does Frank Underwood believe about Jesus? As Underwood, Kevin Spacey masterfully plays the House of Cards protagonist, a character with moral abandon seldom seen on the small or large screen. In season 3, just released by Netflix, now-President Underwood is not showing any signs of slowing down. He (literally) urinates on the memory of his ancestors to open the season, and an episode 4 ethical dilemma finds him talking ethics with a Bishop late one night in a church. Spacey’s Underwood is so skillfully sleezy that we almost believe him when he tells the good Bishop he wants a few moments alone to pray. Underwood expresses a sentiment that is still not uncommon today, though typically less developed than Marcion’s own views. 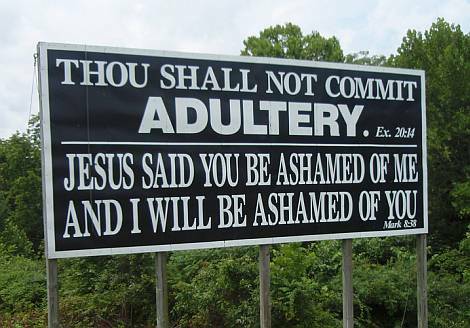 Here in the Bible Belt, you even occasionally drive by churches that advertise themselves as “New Testament Christians,” whatever the hell that means. It’s no surprise that Frank’s gospel is a false one, a heresy (to be fair, he’s kind of an inverse Marcionite, since he identifies with the “Old Testament Deity” that Marcion rejected). What is a surprise, a problem even now, is how easily we still buy into Marcion’s lie today. Make no mistake: the Hebrew Scriptures and the New Testament both contain the revelation of the one God’s gracious activity towards us, God’s creatures. Where Marcion posited radical discontinuity, the orthodox position has always on a strong connection between the Hebrew Scriptures and the New Testament. There is a beauty to the canon, which is no surprise if you believe (as Christians do) that the 66 books of our Bible represent a beautiful library in which everywhere God is revealed in loving self-disclosure. Two Testaments. One God. Frank Underwood is a very effective politician, but as a theologian he is a pure heretic. An icon of the Holy Trinity, based on the famed Rublev Icon. The good news is that God’s loving action is revealed in both Testaments, which tell the story of a God radically committed to His creation. So committed, in fact, that God abdicated all God’s power and, in Christ, subjected Himself to the totality of wrath, sin, evil, and abandonment that vexes humanity, and submitted to death on our behalf. In submitting to death, it was conquered, and we were healed. To Frank Underwood, and to us, the cross is and always remains a scandal. After all, a God of power is comprehensible, recognizable on the world’s terms. But what earthly ruler – a Nietzschean like Underwood, a Caesar, or a Putin – would dare endorse the seeming naiveté of a God who gives up power out of selfless, other-regarding love for ungrateful creatures who will ultimately put God to death rather than submit to His Kingdom of love and mercy? At least Underwood is honest enough to know that he cannot conduct his affairs as he does and also worship the God who hangs on a cross. Frank understands the foolishness of the cross. But now the question is to us, followers of the risen Lord. Do we, “who are being saved,” embrace the foolishness that is the cross? “Just” forgiven? Shockingly, good soteriology is hard to do in 5 words. 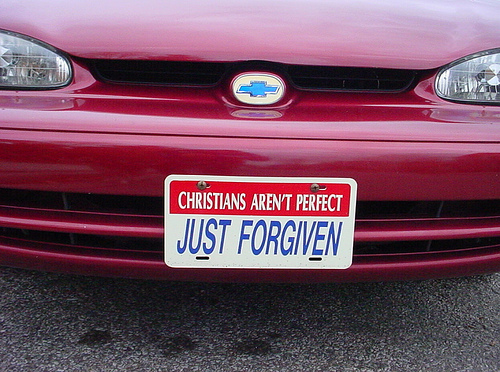 “Christians aren’t perfect, just forgiven,” says a popular evangelical bumper sticker. My grandpappy in the faith, John Wesley, would disagree – as would many other Christians who think salvation is not less, but certainly more than, justification. But is the perfection that is a gift of God’s grace one address, or a street with many different addresses? For Wesley, the perfection that is possible for the Christian to attain, with God’s abiding presence and gracious gift, is always a perfection “in love.” It is not a complete freedom from temptation or fault, but a transformation of “tempers,” a habit of the soul which has been so marked by the Spirit that it is completely filled with love for God and neighbor. Christian perfection, for John and the early Methodists, was only a possibility for a long-time saint, probably near death. 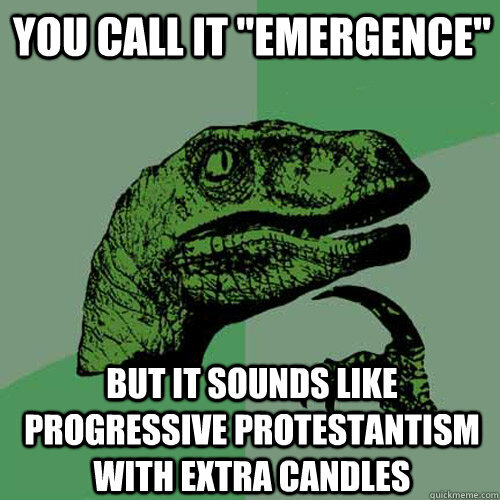 Later Wesleyans would distort what he took to be a long process into an instantaneous gift, of course. But the early Fathers and Mothers would agree with Wesley that virtue and holiness are not quickly obtained. So are there a variety of perfections open to the Christian, or just one? Cassian opens up the possibility that perfection is not merely a single destination, but several along the way to that final glorification for which we long – when we at last can behold the blessedness of God, not in a mirror, darkly but in full and magnificent splendor. Like John Climacus – and, much later, John Wesley – Cassian reminds us that complete salvation is not achieved in an instant, but given by the grace of God over a long, grace-imbued road. This is in contrast, he says, to the Methodist world. We Methodists are a friendly bunch, with our pot lucks and warm smiles, but we are not particularly inspirational. “Methodism doesn’t easily spark the electricity that Calvinism often has,” he laments. Tooley even asks if we would have the moxie to produce something akin to Piper’s bold poem/video. But on to my own Ode. I have no gift for rhyming; I’m no Jay-Z or Charles Wesley, but I do love my church family, warts and all. Yes, there is some truth to Jon Stewart’s charge that we can be the “University of Phoenix” of religions, and we’ve all felt the Methodist Blues. Wesley’s descendants are nice to a fault, which is probably why the LifeWay study showed we have the most positive name recognition of any denomination. We don’t have celebrity pastors like John Piper or Mark Driscoll (for which we thank the Almighty), but we do have some pretty awesome folks like Will Willimon and Adam Hamilton. 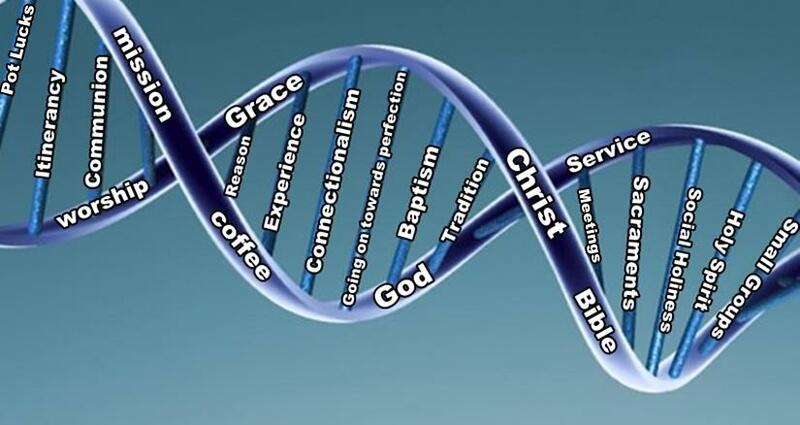 If the 19th century was the Methodist century, and the 20th century was the Christian Century, then the 21st sometimes looks to be a dystopian spiritual landscape in which only the most shallow or extreme forms of Christianity can survive. What is left for the messy middle, or, more properly, the Extreme Center? I believe the movement started by the Wesleys still has much to offer. We do not have great systematic theologies from our founders to pore over like the Calvinists do, but we do possess some excellent sermons and correspondences, and hymnody so fantastic that even stoic Presbyterians can appreciate it. 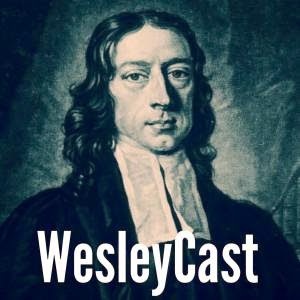 We may not be known for dogmatic rigidity, but we are doctrinal bridge-builders: Wesley’s eclectic approach to soteriology combined the juridical concerns of the Christian West and the therapeutic focus of the East in a unique manner that offers a potential grounds for détente between these two long-separate parts of the Body of Christ. That is characteristic of Methodism, actually. As my teacher Randy Maddox (see link above) put it, Methodists hold together what other Christians often pull apart. We can boast a love for Scripture & tradition, works of mercy & works of piety, spiritual & intellectual formation, evangelism & sacramental life, grace & works, personal & social holiness. In other words, we demand to have the cake and devour it, too. Moreover, we may not have American theologians as renowned as Jonathan Edwards, but we have an impressive network of hospitals, camps, universities, and other mission agencies (in the US and abroad) doing God’s work in diverse ways. Our empire may not have the grandeur of Calvin’s Geneva, but we can boast an early emphasis on abolition and women’s ministry that Calvinism cannot. Tooley sounds forlorn when stating that Methodism, while quaint, doesn’t “spark the electricity” that Calvinism does. But Jesus never describes the Kingdom like a bolt of lightning (that has a decidedly pagan ring to it). Instead, he says it is like a mustard seed: small, but growing into a giant tree. Or, the Kingdom is like leaven, working slowly and quietly, but with great impact. No, Methodism does not snap and crackle like Calvinism does, but if a little less wattage is the price we pay for not having the horrific imagery of “Sinners in the Hands of an Angry God” on our conscience, it is a happy trade in my book. For me, being a part of a church is a bit like a marriage. We belong to the church in sickness and in health, for better and for worse. When other suitors begin to look more attractive than our own spouse, it’s not time to wax poetic (and adulterously) about someone who is betrothed to another. Rather, it is time to rekindle that old flame and remember the covenant. That might be my prescription for Tooley and for all in my tribe to who appear to be more about “Right” or “Left” than anything resembling the faith and practice of the Wesleyan movement (or about Jesus, for that matter! ): take some time, look at the old photographs, pull out the love letters from the shoe box in the attic, and remember that no relationship grown cold has ever been reignited by singing the beauty of another. at least don’t sing the praises of other churches. Are you a preacher? Are you a Christian? You should read this. Similarly, preaching that is not theological will descend into mere sentimentality or utility (sermons that are either aimed at making people “feel good” or being “useful”). We have far too many theologians who have lost their vocation as teachers of the church and proclaimers of the Word made flesh, and certainly a plethora of preachers who have forgotten that the center of their preaching is a crucified Jew from Nazareth who came neither to make us feel good nor to give us useful ideas about life. Like the best preaching, that definition is beautiful, wonderfully deep, and thoroughly Trinitarian. The wall between preaching and theology has been, in many places, been erected for too long. Tear down this wall. Let the twain meet. 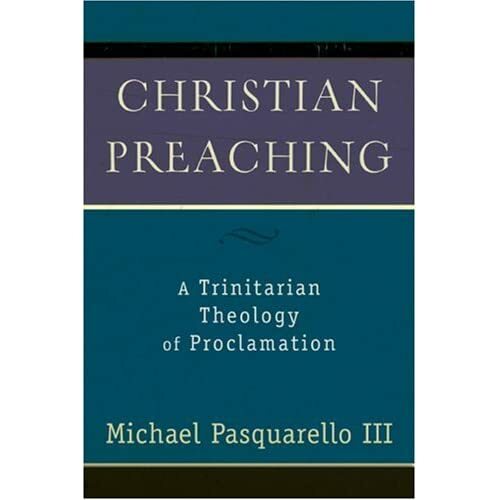 *By a happy accident, I was able to take preaching with Pasquarello even though I was at Duke and he teaches at Asbury. It’s a story that is longer than it is interesting, but suffice it to say he is an excellent teacher and a preacher-theologian I greatly respect. It is hard to imagine a more appropriate hymn to reflect on Advent. As we begin the Church’s year with the season of Advent, looking back to the promises that culminated in the Incarnate One, and looking ahead to his return in glory, let us remember to “find our rest in thee.” This is a season of hustle and bustle, bargains, madness, and, for many, loneliness, bitterness, and hurt. Don’t let the world take the season’s joy away. Remember Israel’s consolation, the joy of every longing heart – Jesus Christ – who was, who is, and who is to come. May God draw us nearer to Himself, into His story, into His purposes, this Advent season.